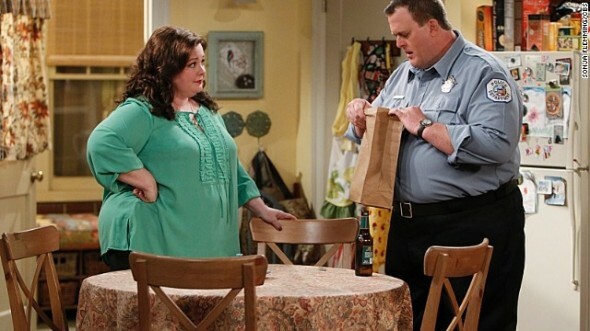 CBS has announced that the fifth season of Mike & Molly will premiere on Monday, December 8th, at 8:30pm. The previous Monday, the network will air four back-to-back reruns. This marks the departure of The Millers. The sophomore sitcom was cancelled last week and it’s unclear what will become of the remaining unaired episodes. I’ll miss the Millers. And last season I got sick of Mike and MOLLY! All of the shows were mainly about Molly…. sorry, but being nasty is not funny. I’m not a fan of Mike and Molbut it seems that CBS is intent on killing it by starting the show in December. December is a month with fewer viewers and so the shows ratings will be lower. Not sure the harm of burning off a couple of more Miller episodes before the Christmas specials begin. I love Mike and Molly, but I also love the Millers, I don’t think they should cancel that show, they should find another slot for it, they always get rid of the good shows and keep the stupid ones!! Not that I don’t absolutely LOVE Mike and Molly, but messing with the set schedule of their show seems a very dangerous proposition these days. Bumping the shows all over the place is how so many great shows have suddenly been killed off this season. I am running out of reasons to bother watching network tv anymore.